It is not easy having the same name as one of London’s darlings. People make comparisons, and you are then forever known as the loafer, the idiot cousin, the burden. He had come to London to make something of himself, like his cousin THE William Shakespeare, but instead of fame and fortune there is just the humiliation of living penniless in Will’s loft and having his heart broken by a titled and sophisticated lady. His only talents seem to brawling and bumping into the right people in disreputable taverns. Will’s Black Lady hires him to help a rich patron recover a letter. It seems like easy money; but in no time at all he finds himself tied hand and foot in a bear pit, with only an enraged bear and two of the Queen’s cut-throat secret agents for company. And from there things can only get worse. Lady Elizabeth Walsall returns from the country to break his heart yet again, and before long he finds himself rubbing shoulders with the Queen’s favourite, Essex, and somehow embroiled in a plot to poison the Queen. 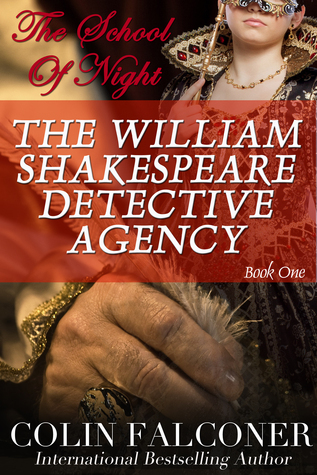 The second in the William Shakespeare Detective Agency series charts the underworld career of the less well known of Stratford upon Avon’s most famous family. Author Colin Falconer has embarked on a wonderfully creative and imaginative new series - The William Shakespeare Detective Agency. It's not about the real William Shakespeare, but rather his n'er do well cousin by the same name. Down and out on his luck, Will Shakespeare goes to London and begs his playright cousin to give him board until he can set himself up. As Will struggles to find work and his own abode, he becomes embroiled in a dangerous mystery. At the heart is an enchanting woman named Lady Elizabeth Talbot who hires him to find her husband. Of course the two soon find themselves strongly attracted to each other, despite the fact she is of noble rank and poor Will is of the lower classes. The series is written in the first person narrative of the witty and clever Will who is charismatic and charming. His thoughts and words are biting, sarcastic, and more often than not, very humorous. No matter what era Colin Falconer writes about, it is always evident he does a great deal of research. And this new series is no exception. He truly brings to life the poverty, direness, and danger of the seedier parts of London. 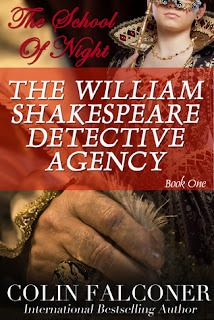 Quippy dialogue, a fast pace, an enchanting hero, and of course, the fascinating true William Shakespeare truly come alive in this page turning cozy mystery series. I highly recommend these books not only for lovers of historical fiction, but for those who love mysteries and detective novels. Bravo Colin Falconer! A winning series of books!